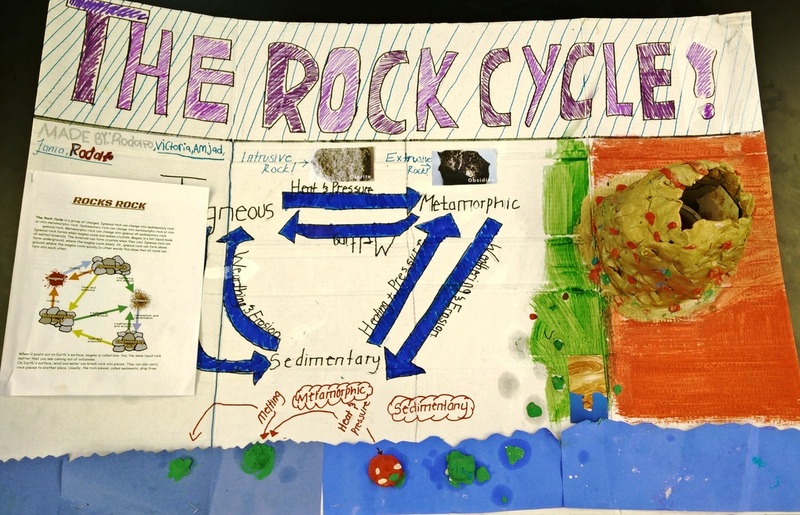 The rock cycle is a never-ending cycle of changes. 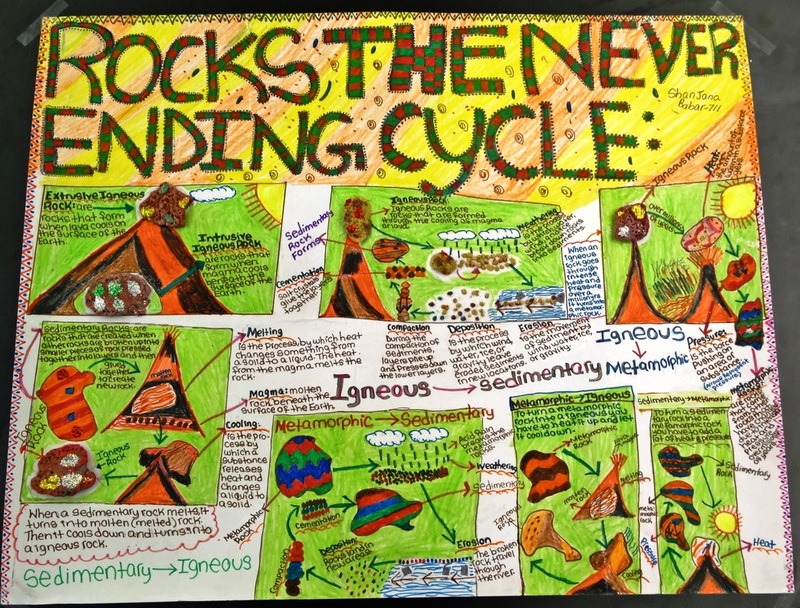 Igneous rock can change into sedimentary rock or into metamorphic rock. 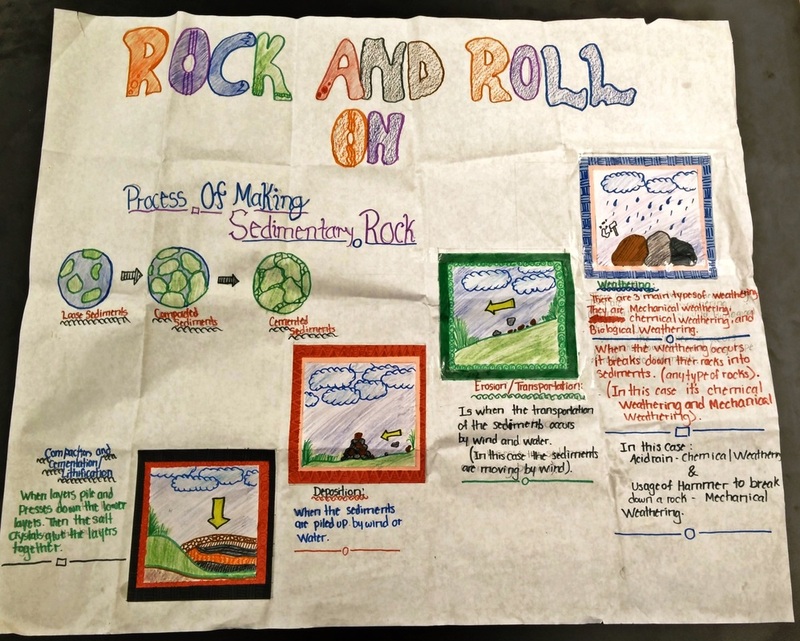 Sedimentary rock can change into metamorphic rock or into igneous rock. 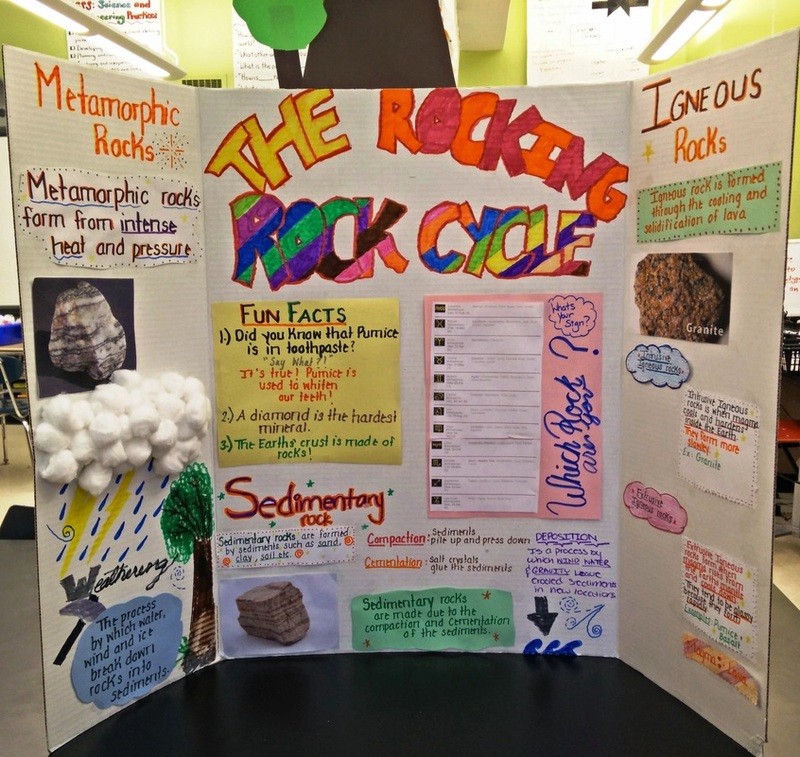 Metamorphic rock can change into igneous or sedimentary rock. 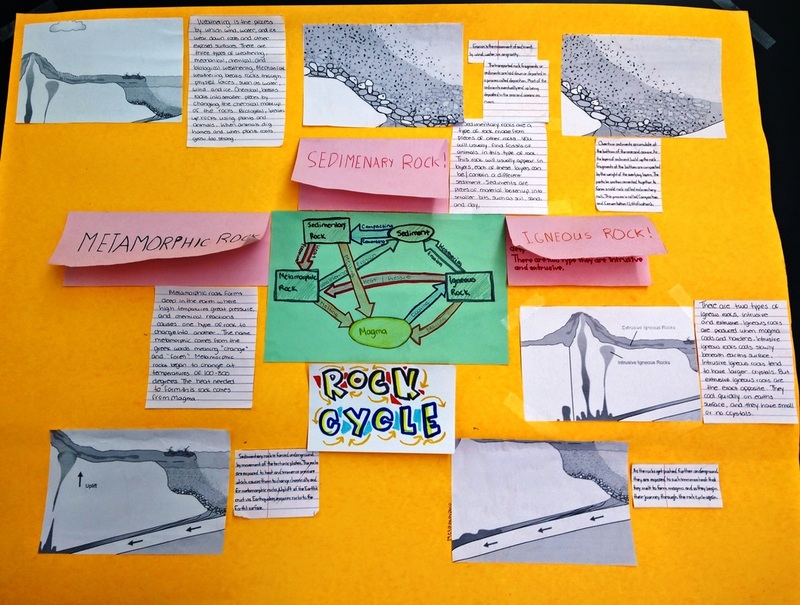 Igneous rock forms when magma cools. 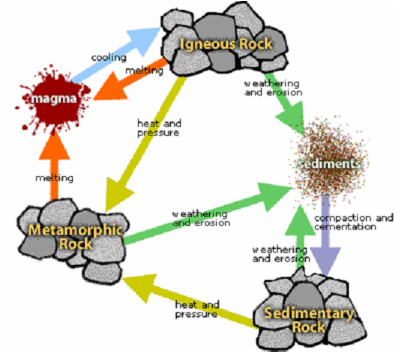 Magma is a hot liquid from the Earth’s mantle made of melted minerals. 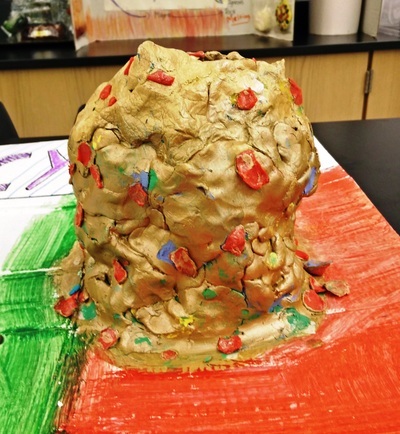 The minerals can form crystals when they cool. Igneous rock can form underground, where the magma cools slowly. 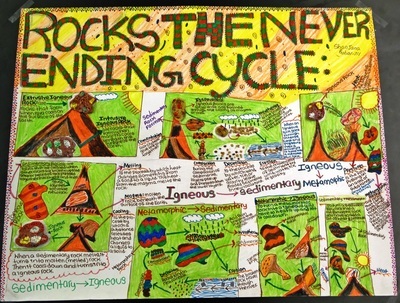 Or, igneous rock can form above ground, where the magma cools quickly. 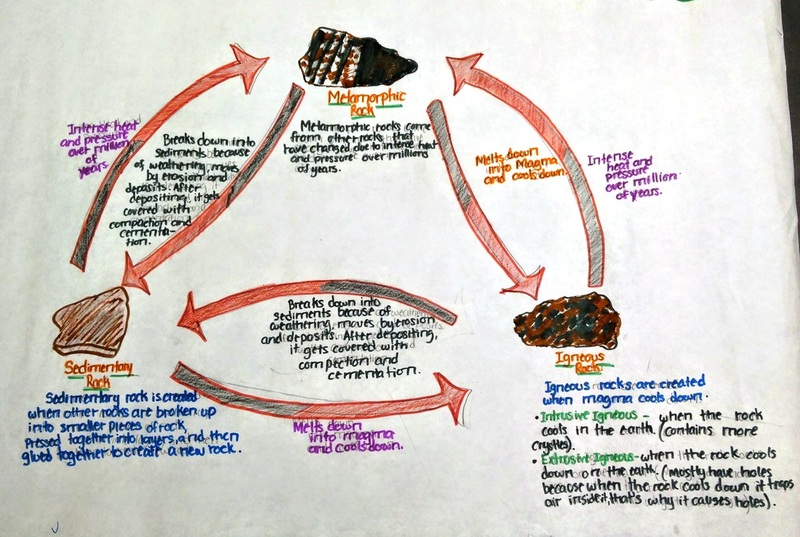 Igneous rocks that form above ground are called extrusive igneous rocks, while igneous rocks that form underground are called intrusive igneous rocks. On Earth's surface, wind and water can break rock into pieces. 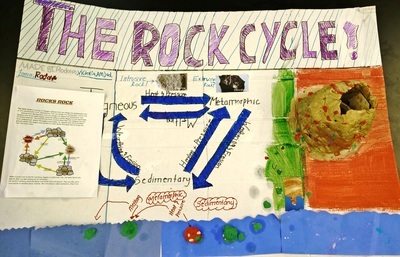 They can also carry rock pieces to another place. 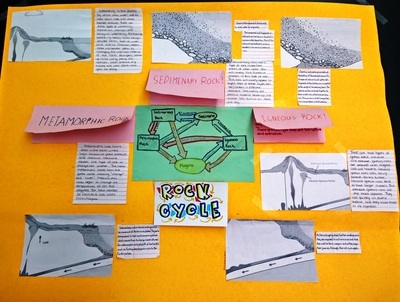 Usually, the rock pieces, called sediments, drop from the wind or water to make a layer. The layer can be buried under other layers of sediments. 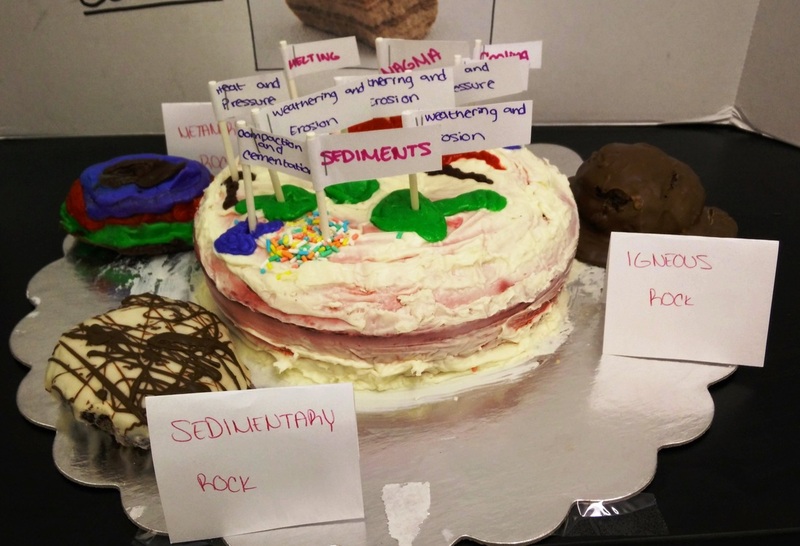 After a long time the sediments can be cemented and compacted together to make sedimentary rock. 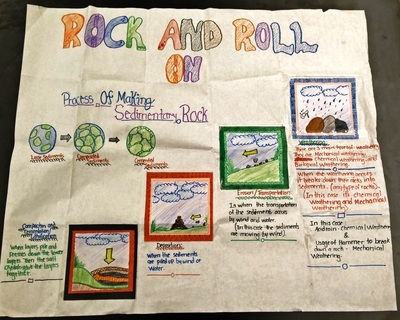 In this way, igneous rock can become sedimentary rock. 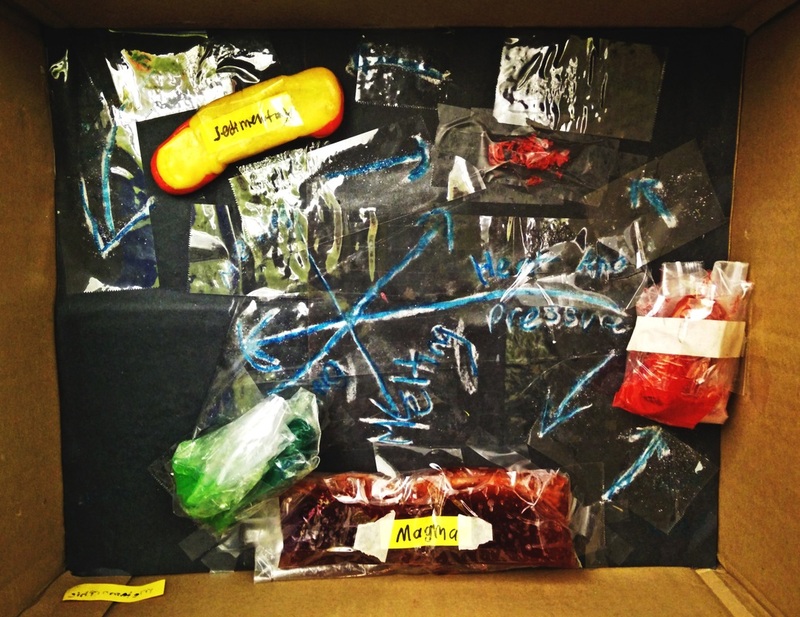 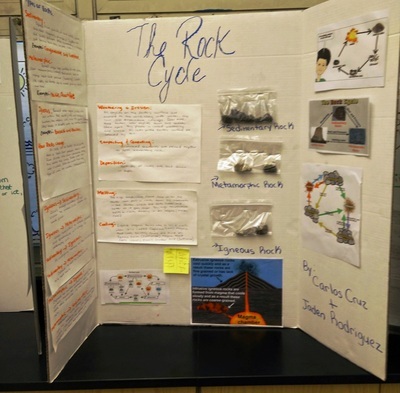 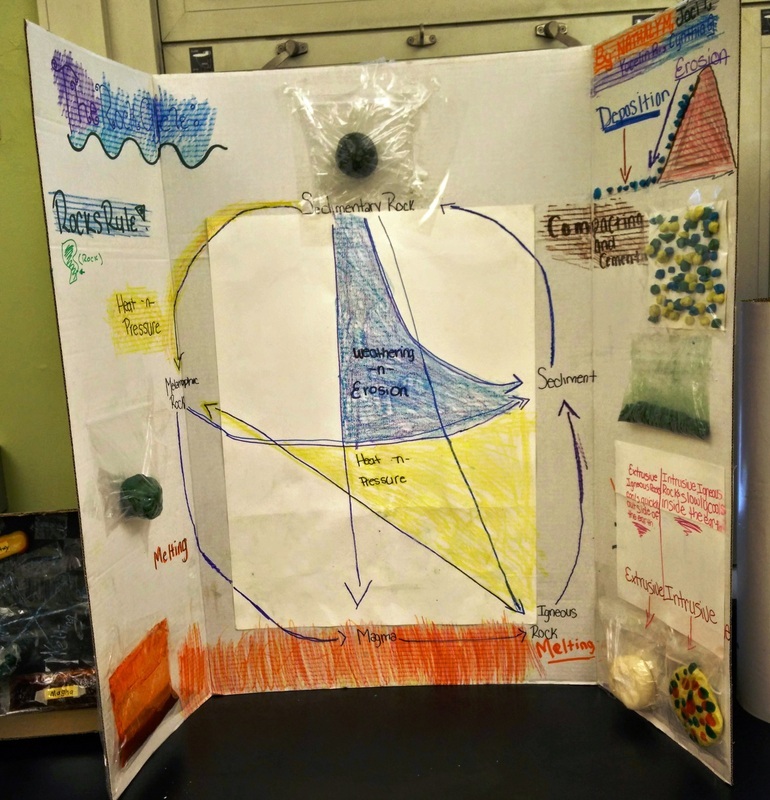 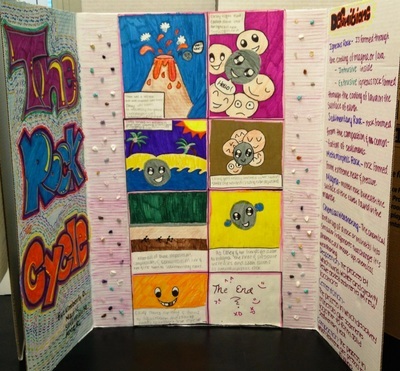 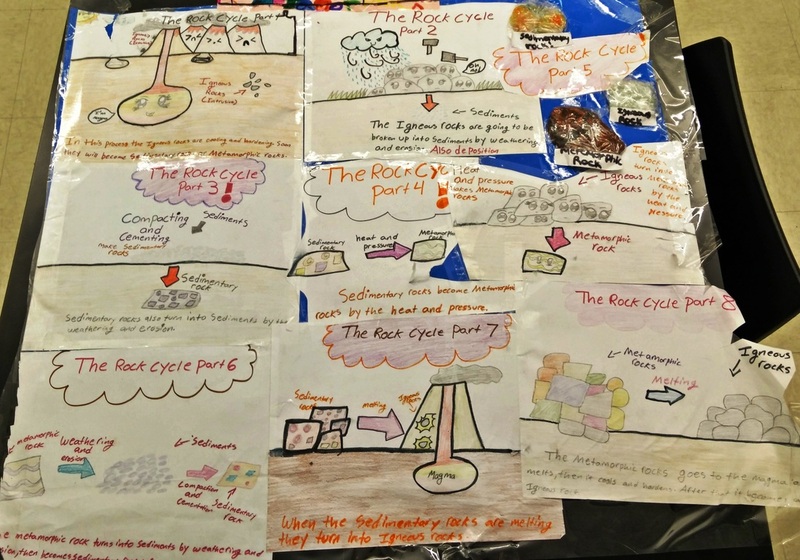 The rock cycle never stops, in the same way the water cycle never stops!